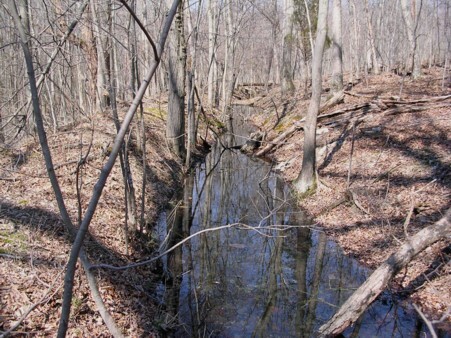 The mill run exists but there are no remains of the mill visible. Wolfs Cow is located on Bucklodge Branch about a quarter of a mile downstream from the railroad tracks. It is upstream from Bucklodge Road. First mill: Ninian Beall of Ninian, Edmund Jennings. Second mill: George Viley, Nathan S. White, Benjamin White, John White, John W. Darby. 1783 tax assessment list as one mill belonging to Edmund Jennings. 1850, listed as a grist and saw mill. 1865 listed as Darby's grist and saw mill. It had an overshoot wheel 8 feet in breath and the height of fall was 13 feet. The wheel made 9 revolutions per minute and produced 10 horsepower. The mill is on private property. The mill run is still in very good condition with only a few breaches along its 1/4 to 1/3 of a mile length. 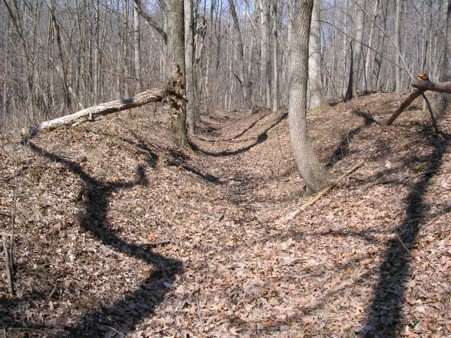 The start of the mill run is at the base of the railroad track bank. 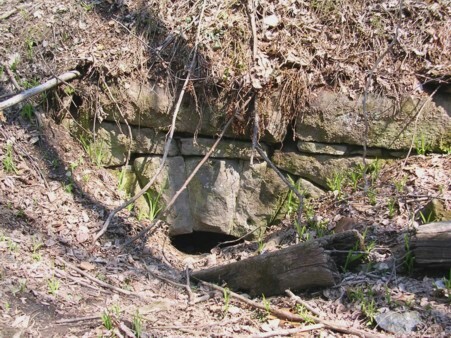 A stone culvert which fed into the mill run exists under the bank. It is currently fill in. At the other end of the mill run there is no evidence of the mill. The tail run going back to Bucklodge Branch is also very easy to see. 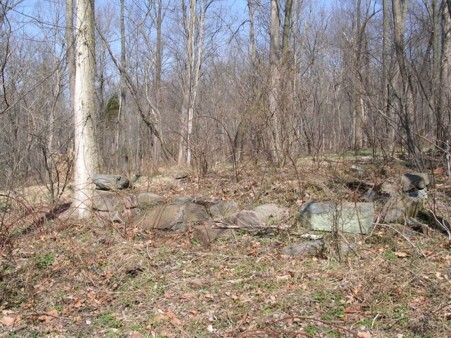 The ruins of structures shown in the 1879 Atlas are located in a nearby field.